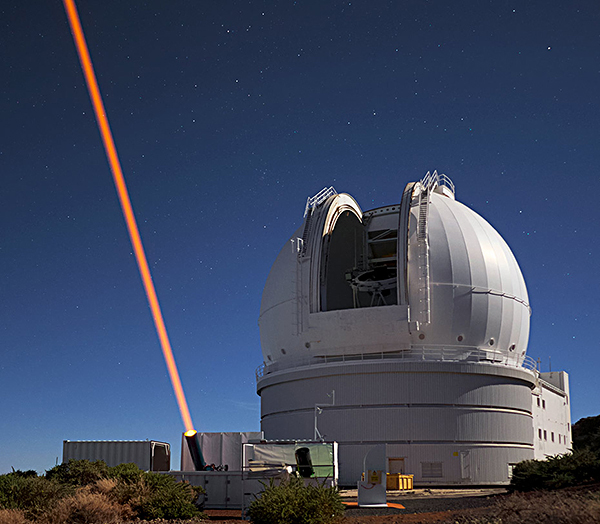 A sodium laser beam is launched from the ESO Wendelstein Laser Guide Star Unit (WLGSU) as part of laser guide star field tests for validating the European Extremely Large Telescope (E-ELT) laser guide star baseline performance. The WLGSU is located 40 metres from the William Herschel Telescope (WHT), and is used together with CANARY adaptive optics system on the WHT. Credit: Obs.de Paris/Lisa Bardou. Larget format: [ JPEG ]. 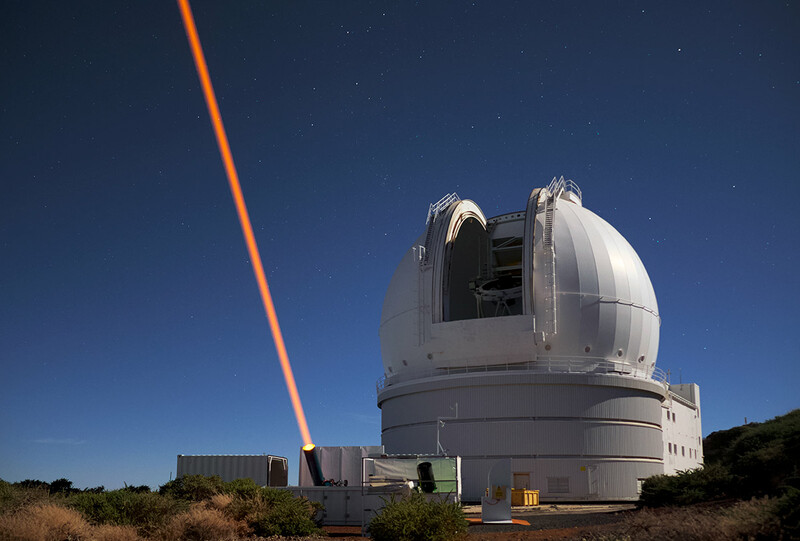 "Making Laser Guide Stars Even Brighter", ESO blog, 20 April 2018. "CANARY's Sodium Laser Guide Star Successfully Commissioned", ING web news release, 5 September 2016. "CANARY: First On-Sky Demonstration of Multi-Object Adaptive Optics", ING web news release, 29 December 2010. CANARY, an On-Sky MOAO demonstrator.